Our landscape architects were invited by PEO (Qatar) to enter their short list ideas competition. 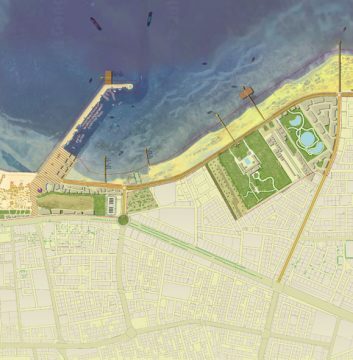 This competition was landscape design lead and our remit was to provide the PEO (Qatar) with a strategic master plan for a 6km stretch of waterfront in Qatar’s second largest city 5km to the south of Doha, Al Wakrah. Davis Landscape Architecture invited Barr Gazatas architects to assist us with the development of our landscape architect ‘s masterplan. 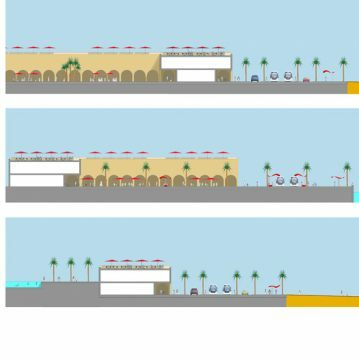 Our landscape architect’s understanding of the client’s brief was to provide a vision for the public realm to Al Wakrah’s water front. 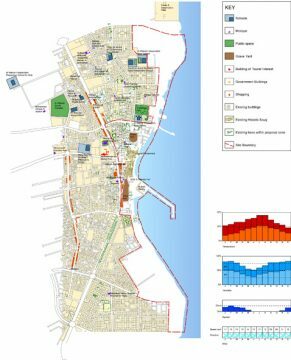 PEO (Qatar) considered the proposed waterfront to be part of the first phase of the regeneration of this city. This would be in readiness for a thirty fold increase in its population over the coming decades. The stitching of our proposals into the existing urban fabric of this historic city was considered by our landscape architects from the outset. We considered it important that the landscape design provide facilities that would help to attract both national and international tourists to this city. To create a successful and vibrant pedestrian focused waterfront we felt that transport was an important issue that needed to be integrated into the heart of our landscape design. We suggested that this be a car free zone, with restricted delivery and service vehicle access. 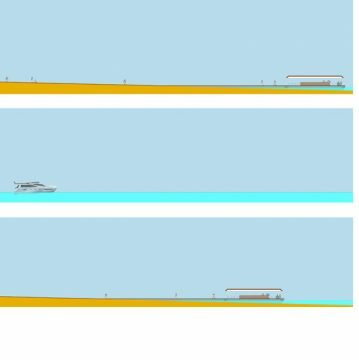 Our design team suggested a rapid transit system should follow the north south route of the waterfront. A transport hub was proposed adjacent to the historic centre of this site. This would connect buses, local and intercity water buses and the rapid transit route. At strategic points cycle stations were incorporated into the landscape design of the waterfront. 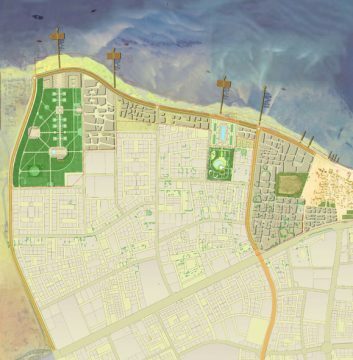 Enhanced existing elements contained within our landscape masterplan included the historic suq, harbour, boat workshops and various civic buildings. 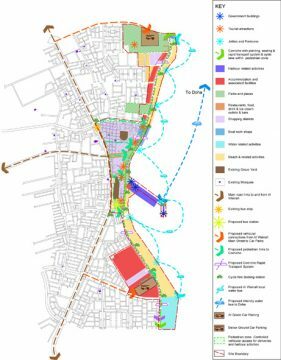 Strategic landscape proposals included a marina, a hotel complex, a number of new parks, new public spaces along the waterfront and within the suq setting, a new shopping district, floating cafes and strategic tree planting.